Truck Accident & Wrongful Death Lawyers, San Bernardino, California! Need Experienced Attorneys To Address Your Personal Injury Or Wrongful Death Claim in San Bernardino? 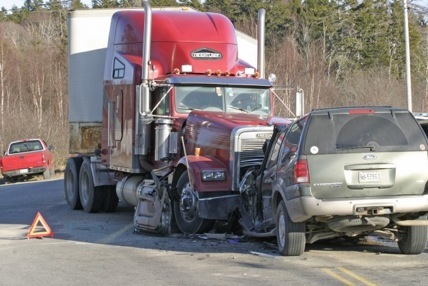 Truck accidents in San Bernardino cause devastating injuries, sometimes even deaths with wrongful death claims. Our accident attorneys have experience of over 40 years in personal injury and wrongful death claims. Our team of expert lawyers provides legal assistance to clients in San Bernardino and all of California. We commit ourselves to the legal needs of our injured clients and strive to obtain maximum settlements for them. All our lawyers are well-versed with personal injury laws and help our clients deal with intricate legal proceedings and other formalities, while working hard to make the process as easy and simple to understand as possible. Resolving our personal injury & wrongful death legal cases with a success rate of over 95%. UCLA School of Law, 1972-1975. Served as Arbitrator in the Los Angeles Superior Court. Obtained compensatory settlements of more than $100,000,000.00 in our span of legal practice. Served as chairperson at Civil Litigation-Tort Section of the Westwood Bar Association. Vehicle Repairs: If your vehicle needs to be fixed after an accident, we help you with it in the best ways possible. Often we can arrange immediate towing and storage, if needed. Medical Care: The pressing need for medical arises as a result of an accident. We find doctors and other medical experts for our clients to treat any injury and manage the recovery process, without expecting payment until your case is resolved. In addition, we assist you getting MRIs, CTs, and other medical scans, and prescription medications, to be paid for once your case is resolved. Transportation: We help our clients get loan cars and even with transportation to and from their doctors. Cash Advances/Emergency Loans: An accident can push one into a state of financial crisis and the loss of income can aggravate the situation. However, we assist our clients when appropriate in obtaining a loan or a cash advance. Let our San Bernardino truck accident personal injury and wrongful death lawyers and law offices provide the accident or personal injury counseling you need by calling us now at 1.866 INJURY 2 or 818-222-3400 (after hours dial 1) or simply click here. Further, please take a look at our lawyer profiles to learn about our experienced personal injury lawyers. In case you are inquisitive to learn about the complex process of truck accident injury claims, go to our Truck Injury Accident Web Site for some clear general information; and if you want specific advice about your own case, simply call us now. Many truck accidents with injuries occur in San Bernardino, California. 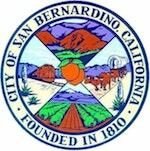 Located in the Riverside-San Bernardino metropolitan area, the city of San Bernardino, CA spans 59.6 square miles, containing 59.2 square miles of land and 0.4 square miles of water. According to the 2010 US Census, a population of 209, 924 resides in San Bernardino. In addition, San Bernardino is deemed the 17th-largest city in California. 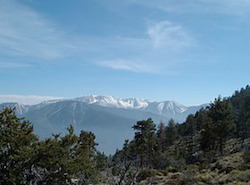 Some major geographical features of San Bernardino are the San Bernardino National Forest, the San Bernardino Mountains, and Arrowhead Springs, the city’s northernmost neighborhood. 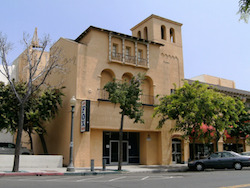 The major attractions in the city of San Bernardino include ASU Fox Theatre, California Theatre, San Manuel Amphitheater, and the San Bernardino Mountains. The Inland Empire 66ers baseball team is based in San Bernardino and plays its home games at San Manuel Stadium, located in downtown San Bernardino. The city of San Bernardino has been geographically segregated by freeways. State Route 210 acts as the major north-south divider. Similarly, Interstate 215 is the major east-west divider. Also, Interstate 10 is situated in the southern part of the city. The other major highways in the city include State Route 66, State Route 206 (Kendall Drive and E Street), and State Route 18 (running from State Route 210 north on Waterman Avenue through the northern city limits into the mountain communities). Gene Hackman, an academy award-winning actor was born in San Bernardino, California. Poison Ivy, widely renowned as guitarist and producer for The Cramps, was also born in the city. Additionally, Edith Head, a record eight times academy award winning costume designer was also born in San Bernardino. For some quick and FREE legal counseling, fill out the details in our contact us form and familiarize us with your case. Besides providing FREE consultation, we charge NO Fee until You WIN! The sooner you contact us, the better it is for you so we can help you right away. Call us now – You will be very glad that you did!